Widely theorized to be the inspiration for Robinson Crusoe, Alexander Selkirk was a Scottish sailor and privateer who lived alone on the island Más a Tierra off the coast of Chile for over four years before being rescued. 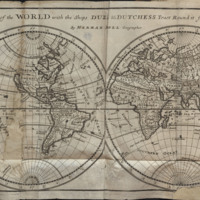 Woodes Rogers, the captain of the English privateer ship that rescued Selkirk, would go on to circumnavigate the globe and serve as royal governor of the Bahamas. 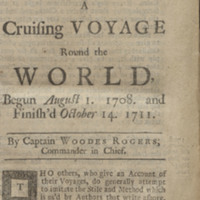 Rogers commemorated this trip around the world and his rescue of Selkirk with this 1712 book, which helped influence the shipwreck and lone survivor genre. Several differences between Selkirk and Crusoe have been noted, most significantly that Selkirk willingly chose to be abandoned on a deserted island whereas Crusoe is shipwrecked. 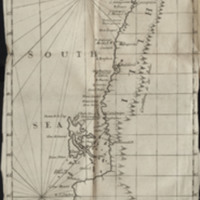 The island on which Selkirk was stranded, Juan Fernandez Island, was renamed “Robinson Crusoe Island” by the Chilean government in 1966 in recognition of its influence on the famous novel. 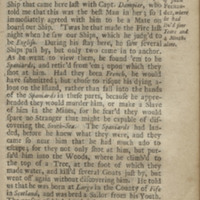 Despite the clear connection between Selkirk and Crusoe, Defoe’s story is set in the Caribbean off the coast of modern day Venezuela. 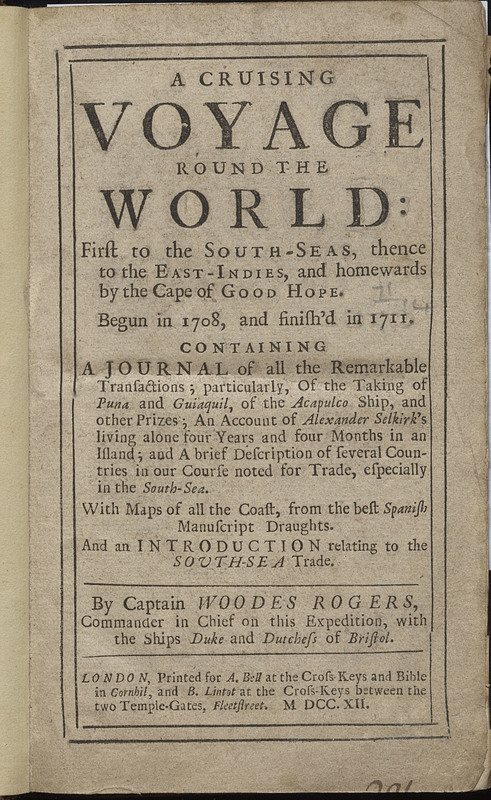 A Cruising Voyage Round the World: First to the South-seas, thence to the East-Indies, and homewards by the Cape of Good Hope. .... 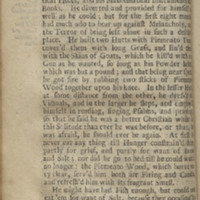 Containing a journal of all the remarkable transactions; particularly, of the taking of Puna and Guiaquil, of the Acapulco ship, and other prizes; an account of Alexander Selkirk's living alone four years and four months in an island... London: A. 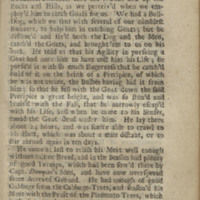 Bell and B. Lintot, 1712.